Over the years, few things have helped improve our brewing more than fermentation control and proper yeast management. Pitching the appropriate level of yeast for each batch is key; if you under-pitch, the cells are forced to maximum reproduction and in doing so, produce off-flavor byproducts. The cells also run the risk of an incomplete fermentation. If you over pitch, the cells won’t have to replicate much during fermentation and the end beer potentially can be lacking in complimentary esters and phenolics. In order to assure that you’re brewing with the correct cell count of healthy yeast, a starter is often key. A lot of books recommend that you mix up a small batch of wort for a starter a day or two before brewing. 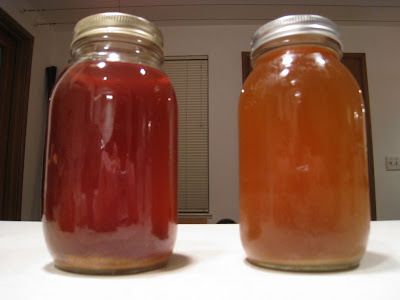 I did this for a long time, but the inconvenience eventually got the best of me and I’ve since moved on to canning wort so that I’ll have it on hand at all times. One of the great things about doing this is that once they’re canned, they can be stored at room temp for an indefinite period of time. Typically when I make a up a batch, I’ll brew up about 8.5 gallons and fill various sized mason jars (24 quart, 12 pint, and 12 half pint). Determine the total volume of wort needed to fill all of your canning jars. Using the lightest extract available, mix up an unhopped extract batch of 1.025 - 1.035 wort, add yeast nutrient, and boil for 10-15 minutes to create whatever minimal hotbreak might occur. Fill up each of your jars, leaving any break material behind. 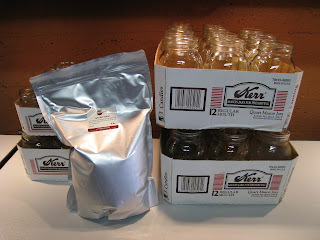 Run jars through your pressure cooker for about 15 minutes at 15psi. It’s amazing how the wort darkens and becomes so clear after this step. Allow to cool, and then store at room temp in a dark place. In theory, you could just mix up your batch of wort and fill the jars without running the liquid through the boil/chill process first. The pressure cooker will sterilize everything, but I’ve found that you’ll be left with a lot more hot break in your canning jars. 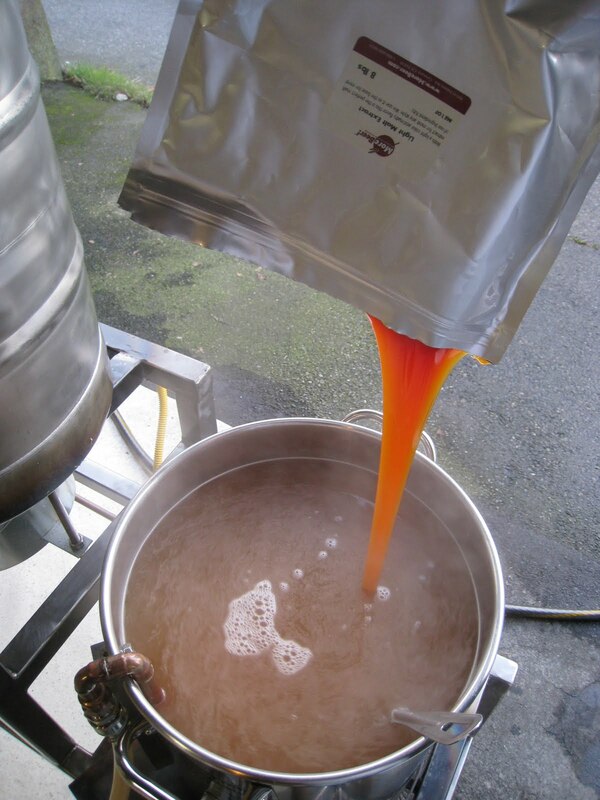 Regardless of your method, nothing beats being able to create a starter in a few minutes, or add to an existing one, using the stockpile of canned wort that’s now always on hand.